Wandering along the northern bank of the Thames in Chelsea, you'll come across a small but charming green space overlooking the river. We doubt many who frequent Cremorne Gardens know its incredible history. Cremorne Gardens was a large Victorian pleasure garden which was opened in 1845 by one Baron de Bérenger. He was actually a fraudster called Charles Random. The garden was 12 acres in size. Today, a meagre half acre remains. 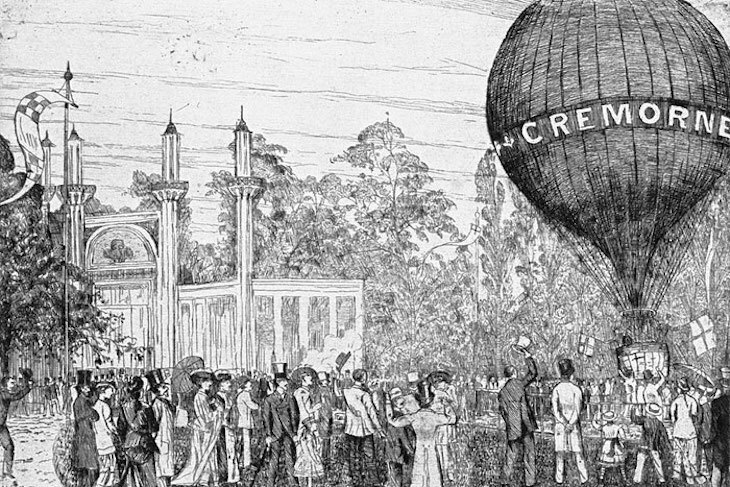 Cremorne Gardens hosted a marionette theatre, dancing, supper rooms, a crystal grotto and circus performers. But one of the biggest draws of the gardens was the hot air balloons that were set off from there. This led to a tragic accident when a gigantic bat balloon departing Cremorne crashed, leading to the death of the pilot. The area's intertwined history with balloon ascents led to a pub named The Balloon Tavern opening within the gardens in 1862. That pub still stands, although now it's called Lots Road. 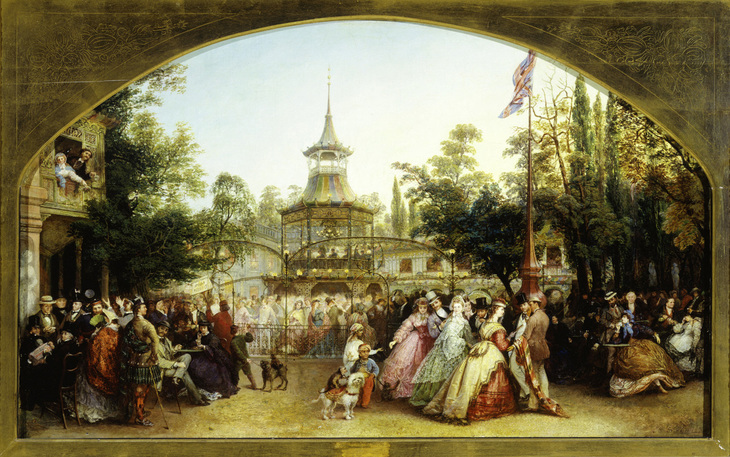 In 1851 the gardens held a naval fête, from which the highlight was blowing up of a steamer to raucous cheers. These gardens sound rather marvellous, but what happened to them? The daytime punters at Cremorne were a polite and decorous crowd, but it was a different story at night. The seedy underbelly of Victorian society crept in at nightfall; one pamphlet described the place as a 'nursery of every kind of vice'. In particular, this meant rowdy drunks and prostitution were rife. This behaviour was accepted in the Victorian East End, but it never stood much of a chance in Chelsea. Many locals petitioned for the gardens' license to be revoked. The local pressure took a toll and the gardens closed in 1877. 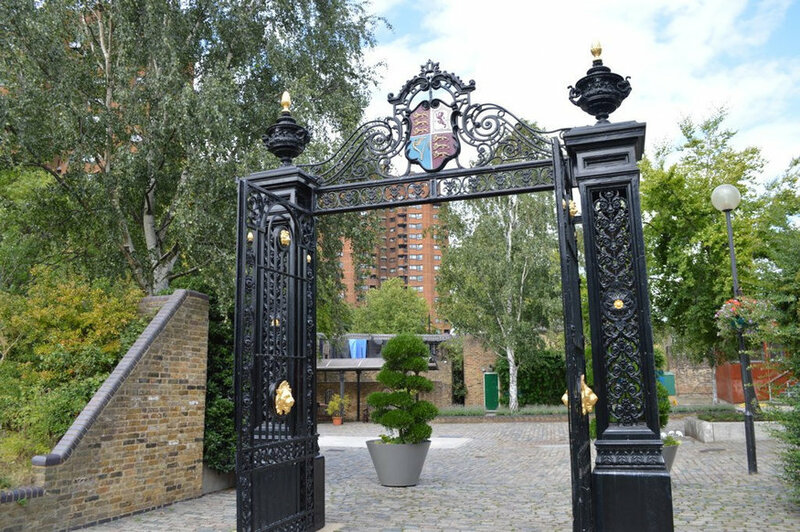 The gardens' gates were saved and are the same ones that stand in today's Cremorne Gardens. As for the rest of the land, a lot of it is taken up by The World's End Estate and other local buildings. The World's End is a bold brutalist statement but it's not exactly fireworks and blown up old naval ships, is it?